Utilities San Carlos & Guaymas: electrical, water, gas, television, propane, phone and internet. Telmex is the largest land-line provider, and they have packages where you can get your land-line and high-speed internet for a monthly rate of $389 pesos (taxes included). This package includes 100 local calls monthly, and 100 minutes monthly for long distance national calls (i.e. in Mexico). Expect to pay a one-time installation fee. Telcel is a company that sells cellular phones, SIM cards and phone card with minutes on it. They have a variety of phones with different prices and features. There are no contracts with this type of phone. They have a plan called “Sin Limite” that includes a data plan and unlimited calls to Mexico, USA and Canada. You can check your account and pay your bill at mitelcel. You can pay your bill online with an international credit card. You can also pay in cash at local banks, like CiBanco in San Carlos. Megacable is the largest cable company in the area. They have different packages for television, internet, and telephone. There is an installation fee. To apply for the service, you will need photo ID and a utility bill with your Mexico address. This is a Mexican satellite TV service. Most channels will be in Spanish. Call 222-7419 for more information. If you are able to transfer your US or Canadian satellite service to Mexico (some companies have a “2nd home” service), then bring your receiver and dish and a local man named Chava will be able to hook up your service. Depending on the distance and feeds, you may lose some channels. You can also buy a satellite dish from Chava. He speaks English, and estimates are free. Tel is: 226-1111. As noted above, the two companies that provide internet services are Telmex and Megacable. Telmex offers different monthly packages depending on the speed you require. Many restaurants provide free wireless service. In Mexico, many of the appliances run with propane, versus electricity. This includes your stove, clothes washer, and the hot water. Propane is not very expensive. You will likely use $200 pesos worth in a month (if you shower daily and cook at home). In order to fill it, call Pagasa at 222-2222. They are open everyday, including weekends, from 5 am to 8 pm. They will need your name and address, and will come within a few hours with a large truck and fill your tank. If they are not there within 2 hours, call them again. You need to pay them in cash. Comisión Federal de Electricidad (CFE) can be reached by phoning 071. Electricity (CFE) is very expensive in Mexico, and you should be mindful of turning off lights, air-conditioning, etc to conserve energy and reduce costs. You will receive your electrical bill every 2 months. You can pay your bill at any bank (inlcuding CiBanco in San Carlos), at the main office on Calle 16 and Avenue 13 or at the CFEMáticos in Plaza el Vigia (the Ley mall). Your water bill comes every month, and needs to be paid at the water company. In San Carlos, the CEA is in the Las Palmas plaza, near the back corner. There is also an ATM-like machines to pay your bill with cash — it’s open 24 hours. In Guaymas, you can pay your bill at a machine in the Ley mall, called Plaza del Vigia. Register to access your utility accounts online. 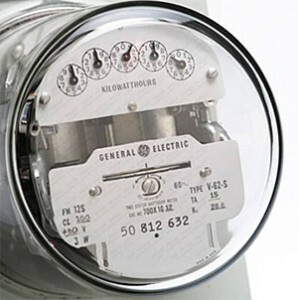 If you’re closing up your San Carlos home to head north for the summer, you may want to consider signing up to view and / or pay your utilities online. Or, if you’ve arranged for someone else to pay your bills, you can check that your account remains in good standing. Phone (Telemex): You can check and pay your bill online at Telemex. To create an account, you will need your 10 digit phone number. Once registered, you can pay your bill with a credit card. Electrical (CFE): You can check your bill online at CFE. To create an account, first enter your desired user name and a password (contraseña = password). Then enter the name that the account is under and the number of your account. This information is found in the upper left hand side of your bill, under “ubicacion del suministro”. The numero de servicio is a 12 digit number in bold. There is no option to pay your bill through the CFE website. But you can arrange for automatic payments through your Mexican bank. Water (CEA): You can go to their office in Plaza Las Palmas to register to have your bill emailed to you. There is no online option for paying your CEA bill. But you can have your bank pay for you. According to CEA, only CIBanco pays the bill within the time frame that will get you the 10% early-pay discount. CIBanco will pay CEA, CFE and Telemex for you at no extra charge (if you’re a client). Bring your bills to them and they will set it up.